Leeds-based Ant Hire, one of the UK’s leading suppliers to the water industry, has been appointed by Industrial Water Jetting Systems Limited (IWJS) as its water and drainage solutions provider in a contract worth £1m over the next five years. Under the contract, Ant Hire will provide IWJS, an approved sub-contractor for Yorkshire Water, with lateral pipe cutting robots, its revolutionary PatchBox Pipe Repair Kit and other drain consumables to help the wastewater management company deliver planned and reactive works for its water utility clients. 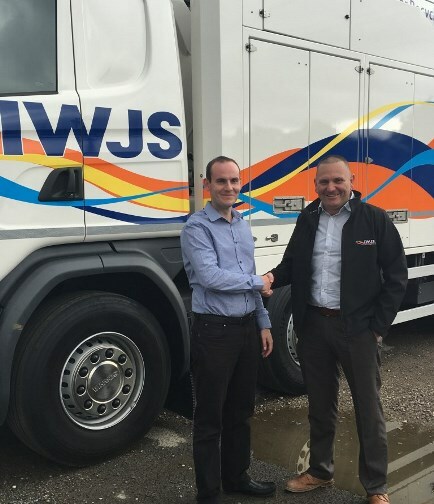 The contract, with IWJS’s Leeds depot, builds on Ant Hire’s existing relationship with its Manchester and Suffolk depots. With six strategic locations throughout the UK, IWJS delivers national drainage and waste water management support to clients. Ronnie McMillan, IWJS contracts manager, said: “Ant Hire’s innovative products and solutions are competitively priced, have widespread availability and are perfectly suited to our day-to-day needs. As well as Ant Hire’s ability to cater to our requirements regardless of the geography or complexity of the project, the team’s friendly and pragmatic approach, willingness to exceed expectations and first class service delivery are what set them apart from the competition. Since being founded in 1996, Ant Hire has invented a number of new and innovative products to improve safety and efficiency in the water industry including the Vertform Manhole Base System, the PatchBox Pipe Repair Kit and Pressure Testing pipe service. Ant Hire was the first company to design a patch lining repair kit, namely the PatchBox Pipe Repair Kit, and has also been awarded the title of ‘International Dealer of the Year’ by IMS Robotics, its preferred robotics partner, for the past two consecutive years. Business leaders to ask: what’s next for Brexit?